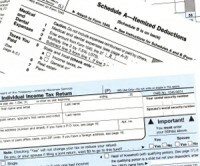 Tax 101 Seminar: Sign Up Now! For recent overseas residents who are unfamiliar with filing US taxes from abroad, new filers who have never had to file before, people with simple situations (only foreign earned income) who need to learn what the changes in the 2017 tax law mean for their 2018 filing. Event Fee: €20 AARO members; €30 non-members and all non-reserved, pay-at-the-door attendees.